6 ICA Fund Good Jobs Companies among Indie Awards Winners! The Oakland community celebrated the Eleventh Annual Oakland Indie Awards last week. The awards ceremony, mixer, and celebration, held at the Oakland Museum of California were hosted by the Beneficial State Foundation and were a testament to the energy, community, and positive impact of our local entrepreneurs and independent small business owners. 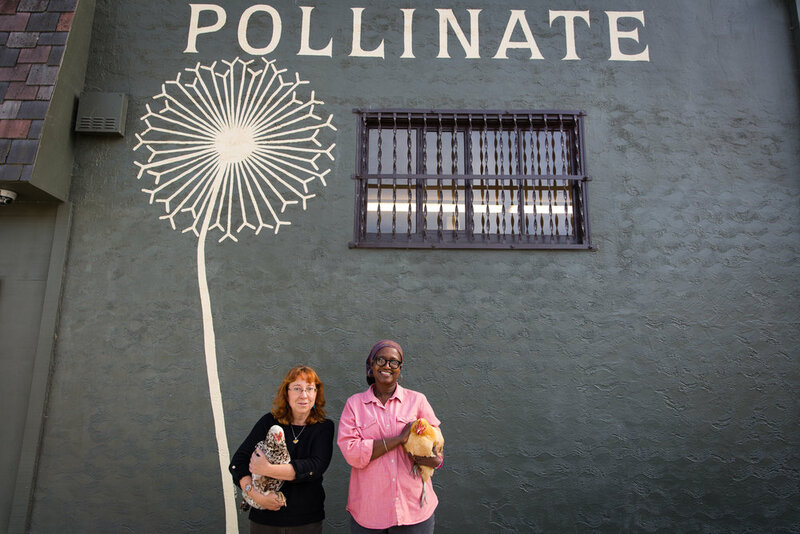 Pollinate Farm and Garden, a 2017 Greenie Award Indie Award winner and an ICA Fund Good Jobs Education company. Town Biz won the Ripple Effect award at the 2017 Indie Awards. Town Biz is an ICA Fund Good Jobs Education company. The ICA Fund Good Jobs team joined friends, supporters, and hundreds from the local small business community at the awards. And we were even more excited to see six ICA Fund Good Jobs past and present companies on stage as Indie Award winners! Homeroom Mac+Cheese, in the High Road Employer category. Piikup in getting the Social Changemaker Award. And of course a big, heartfelt congratulations to all of the inspiring nominees and winners of the 2017 Oakland Indie Awards.